New music and fresh artists are being churned out every day, but it’s hard to know which songs are must-haves and which albums have made it big. These two musicians have released second tries onto the scene that might just be worth a listen — at least some of them, anyway. Kid Cudi arrived out of nowhere in 2007 with the release of “Day ’n’ Nite,” a lonely anthem that received mass appeal due to its introverted lyrics and catchy beat. Finally, after two years of collaborating with famous hip-hop artists, Kid Cudi has delivered a full-length LP, now in stores, named Man on the Moon: The End of Day (MotM). MotM is a concept album, or at least Kid Cudi wants the audience to see it as such. Interspersed within some tracks are pointless monologues that are reminiscent of a more serious Kanye West “Skit” or Wu-Tang interjection. All they tend to do is break up the song’s tempo and rhythm, as the monologues add nothing conceptually to the lyrical content of the album. Every rapper seems to do these monologues during their first LP, but I think that instead of focusing on creating an artificial narrative throughout his album, Kid Cudi should have paid more attention to his songs. Initially, MotM seems utterly lost in a conceptual nightmare that prevents the listener from making sense of the album. However, the album finally finds its place when “Cudi Zone” begins. The song is a perfect mix of uplifting music that brings Kid Cudi out of his depression, and throughout the rest of the album, the beats are mainly fresh and light-hearted. Afterward comes “Poke Her Face,” a lewd mockery of Lady Gaga’s “Poker Face.” Rappers Common and Kanye West provide excellent raps on top of the catchy beat. Kid Cudi’s pursuit of happiness involves doing what he does best — striving for creating a noble way of going through life without hurting other people. While “Day ’n’ Nite” reveals an attention-seeking, shy person, “Pursuit of Happiness” bares the evolution of Kid Cudi’s thought process. Initially, MotM seems to be a disastrous collection of disjointed motivations and goals, but at the end it all comes together to form a vague semblance of direction. 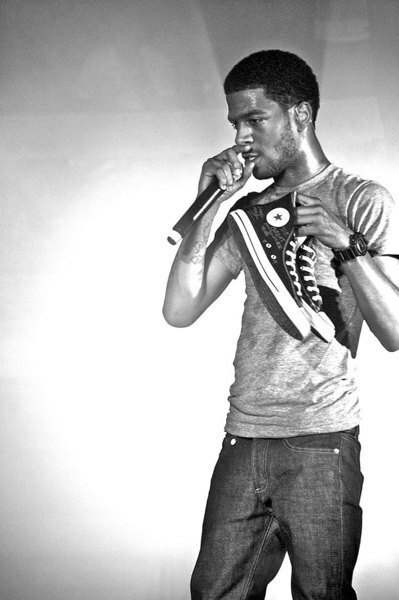 Kid Cudi’s only problem is the vast expectations placed on him, as evidenced by the numerous collaborations with other artists for his first LP. Nevertheless, if he continues to make albums, he might finally complete his pursuit of happiness, and, maybe, we’ll have some great Kid Cudi albums. Carnegie Mellon alumnus Ken Flagg (CFA ’98), will be releasing his sophomore album, titled The End of Suffering, on Nov. 3 with Eclectic Records. The End of Suffering is a very eclectic album, mixing several different styles of music to create an indie album that is vaguely reminiscent of a combination of the early version of Ted Leo and the band The Shins. The lyrical theme that runs throughout the album is universal: love. After singing through the first half of “Blinded,” the track changes into a Sufjan Stevens-esque instrumental; and with horns and woodwinds blasting, Flagg creates a cacophony of sound that elevates the acute listener onto another plane. Flagg continually adds layer upon layer of different sounds until the track reaches a quite good climactic finish. “When the Sun Sets in the Eastern Sky” is a fantastic closer to the album: a mellow song juxtaposed with eerie lyrics. Flagg sings “as the flesh melts off our bones/we will both be dead but not alone” without much emphasis or noted distress. With a catchy beat and cool tone of voice, Flagg catches the listener off guard while listening to the lyrics. Flagg’s style indicates that his music will remain fresh for years to come, though in a couple of the songs, he fails to create a unique sound. The End Of Suffering is an album full of one-off gems, in some of which emotion is quite spectacularly displayed. Whether the true Ken Flagg is The Shins, Ted Leo, or Sufjan Stevens, it is quite easy to see a very bright future for him as he further hones his style and music.